where i can buy this mobile? Anonymous, 16 Jun 2014Where can I get a new screenNot sure where you live, but in the Netherlands I can have it send to Sonim for repairs. I have used this phone as a work phone for 3 years, I have had one previous service on this phone due to a fault when it fell from my pocket!! Now another, the battery wont charge. It is just out of 3 yr warranty so I'm stuffed, would cost $250/$300 to fix according to Sonim Australia, they suggested an upgrade to the xp 5300, no thanks. The ringtones and alarm have to the most annoying ever invented. I have had customers who have literally jumped when my phone has gone off. Also sometimes I would not recieve messages for 24 hours after the person called. That may be down to the network though? May suit some trades/occupations better than others. Samsung B2100 Xplorer is cheaper and better than this particular model. Its got better durability and the battery last about a week. At this price I could have sacrificed a few phones to Triton and still afforded a couple more for calls. The microphone is covered by a plastic membrane for water protection, but also blocks sound, so shouting into it at close range is needed in speakerphone mode. At the same time, the loudspeaker is the loudest I've heard on a GSM phone. Anonymous, 13 Jul 2011Junk. Waterproof for about 5 seconds submerged, dropped from second story to pavement caused b... moreyou're aware it's dust/drop/water RESTISTANT not PROOF. The day they invent an indestructable phone, I'll buy you one. Junk. Waterproof for about 5 seconds submerged, dropped from second story to pavement caused button failure. Does not support claims. Junk. Exchanged for Samsung Immerse after only three days use. Junk, crap, garbage, false advertising. I own a Sonim for slighly over a half year. I read many reviews on it's basic functions but it's amazing durability. I also read that a few people had problems right away but with an un-conditional warranty you simply get a phone back. It's pricey for not a lot of features but on the farm my old phones kept breaking and I was willing to sacrifice money and feature for durability. Ha! My screen broke within that first month and the microphone within a few more months. I sent it in and have now been waiting over a month for the replacement. I paid good money for supposed durability. I am very dissapointed with the product and services. when i got thix XP1, after a week of not even dropping it, whne i phoned anybody, they would hear what i said exept twice, the second on about two seconds after the first, making it impossible for the other person to hear. i got a free replacement of a samsung, which is waaay better. 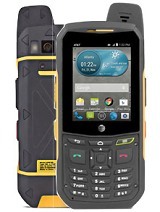 do not recoment this phone, as the samsung is actually cheaper and a bit more rugged. i did to water tests (in a basin of water for 2 mins whilst being rung,) and it was fine, even though people say the work-after-a-day thing. poor for the technical, great for the rugged. The Sonim XP1: A basic phone. But I love it. Texting is about 7 out of 10. Calls are 9 out of 10. Interface is 5 out of 10, but to tell the truth, I never use any of the nonsense applications on other phones. The first one I got I actually broke it, relatively easily, but I just got a new one with the 3-year warranty. This one is VERY durable. The only complaints I could think of: No full QWERTY keyboard, no camera, no MMS, and rather bulky. My friends compare it to their new up to date phones and laugh. Then I drive over it with my car and then ask if THEY can do that. It's an EPIC win. Phone deserves a 9 out of 10. Hi, I bought an XP1 for my father who is an outdoors fan. Often out fishing and shooting in all weathers. The XP1 suits him down to the ground, it is unfettered with features, which for him is ideal, being of the older generation. Ring and earpiece are loud and clear. While it may have been superceded by the XP2 and 3 they are still available at very reasonable prices. With regards to syncing the phone, I have the phone connected by bluetooth to the PC and am very happily using Floats Mobile Agent to update contacts and manage the phone folders. dehaeen2ye, 12 Dec 2009i get my xp1 4 day ago, n i very happy of that, i often see you tube video about the toughest ... moresame thing happen to me, it died in a glass of water but i dried it and it was woeking again after a day. exept for the keys 4-0-5-6-7. xp3 definatelly stronger and more compleate in terms of functions. I have a thing for well built products. Today so many manufacturers of goods build down to a price that there are very few genuinely good consumer goods - craftmanship in other words. People simply don't want to pay for quality. I guess probably because we live in a throw away society. So when I come across good things, I love it! You want the best earthmoving machine in the world? Buy a Caterpillar. You want the best drill in the world? Buy a Hilti. The toughest industrial cleaning equipment? Buy a Tennant. The most accurate watch in the world - as well as the toughest? A Tag or Rolex? No - buy a Casio Gshock Atomic Solar. The toughest cellphone in the world? Buy a Sonim. I did (and I own a Casio Gshock and Tennant as well and am saving for my Hilti.) But the story is about my Sonim. I look after my stuff generally pretty well, but I destroy cell phones - just the way it is. 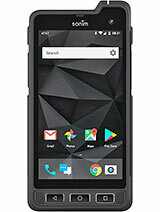 So I googled for the toughest phone in the world and ordered a shock proof, waterproof, dust proof Sonim online. As can happen, even with these tough buggers, I had a software glitch. But these guys have a 3 year unconditional guarantee. The thing is, the online shop I originally purchased it from, had in the meantime gone under and I had also moved countries so I emailed their international warranty guys with the details asking what I could do. They mailed me back saying a replacement phone had been despatched to me and would I send my one back to them when I had a chance via DHL on their account the number which was attached!!! Total of 125 user reviews and opinions for Sonim XP1.